Hair: He has black hair. It is long but not down to his shoulders. Looks: He has green eyes, although when he is yearning to change they can sometimes change to yellow. Arik has pale skin, mostly due to the fact he is almost always covered up or inside. He also has black hair that is long, but doesn't reach his shoulders. He has long arms and legs, and is skinny without much muscle. 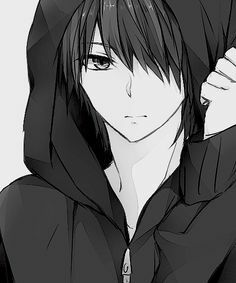 He tends to wear a black jacket with jeans and usually always is wearing his hood to cover his face. When he is in his wolf form he is muscular. He is covered in black fur, minus the red markings he has. He has a red crescent moon over his left eye accompanied with three dots on the outer of his eye. On his chest are two connected spirals, and his tail is rimmed with red and what looks like an upsidedown 'U' with a dot in the center of it. His eyes are yellow. 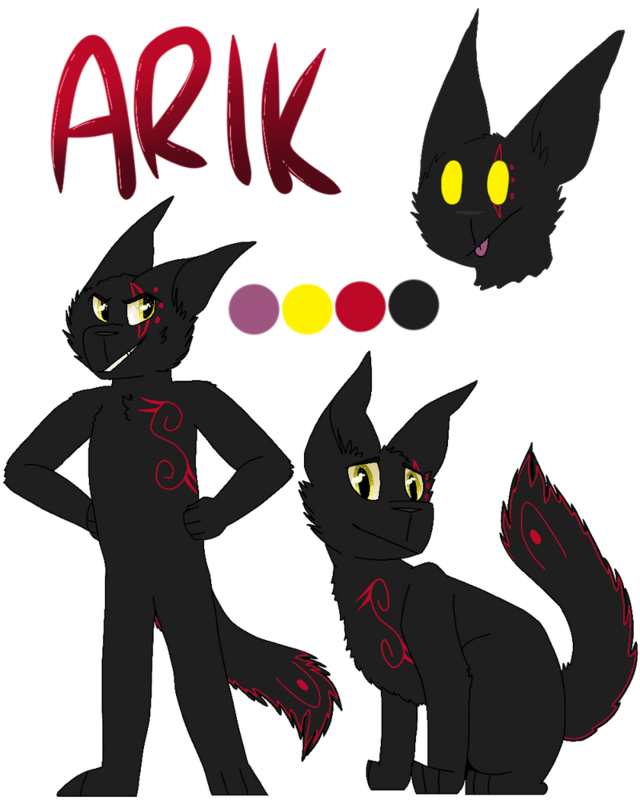 Arik perfers to not wear clothes in this form, as why does an animal need clothes? In addition to being able to walk on two legs, he is also able to go on all fours normally due to the fact that he actually can shift a bit more in his wolf form. 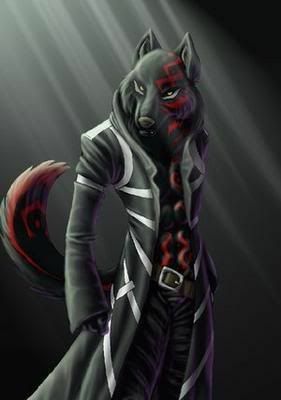 With this he can go from looking more were and look like a -almost normal- wolf, if he didn't have the markings. This means that his hands would turn into paws, and he'd look less 'human like' and more like a wolf. He can still speak in his wolf form, but if he wanted to he can make it so that his vocal cords are purely wolf, meaning that he can only bark, howl, growl, ect. 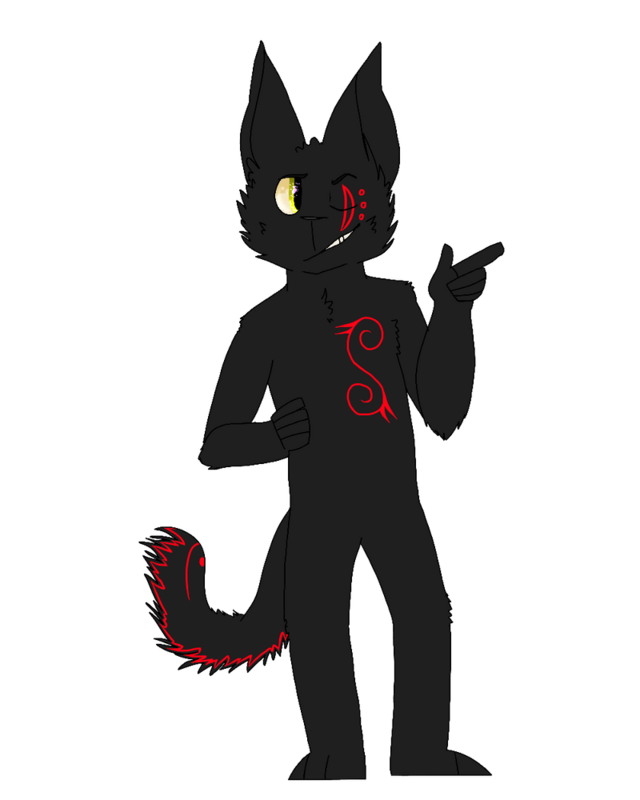 His were to wolf shifting happens on command, so it wouldn't be like if he got hit down he'd automatically turn into a wolf and vice versa, meaning that he could stand on his hind legs as a wolf and not shift to be more like a were if he didn't want to. Smarts. He's smarter than a college student even though he's never gone to college, able to solve complex problems with a very likely success rate. He is also fast at solving problems, especially those that relate to math or technology. He is very good at fixing something wrong with a TV, computer, ect., and just fixing things in general. If he can't fix it he'll just get a new one, or figure out how to fix it. Technology. He is very talented with technology, coding, and hacking. After years of practice it's pretty much implemented into his brain. While he still has troubles hacking into high security systems, if he tries hard enough he might be able to. He could easily build a computer, laptop, phone, ect., from scratch if he had the right parts. Wolf Form. In his wolf form he is very strong, strong enough to lift cars and rip through trees. He is also very agile and quick on his feet, able to possibly dodge a fist coming at him only if he's paying close attention. Anything faster than regular human movement would probably be too fast for him to dodge. On his two legs he can run up to 30 mph and is able to lift 3750 lbs at the most. With that he can also run for about an hour non stop at 10 mph. He can withstand a few punches, but things like knives and guns can still kill him just as easily if they hit a vital spot. with regular bullets it would take about 3 hits in non vital areas to take him down, but plasma and pure silver can take him down in one hit and cause him a lot of pain. If you shot him in the leg with a regular bullet he'd be able to walk through it with a bit of pain but a silver or plasma bullet would act like a regular bullet in this case. He rarely uses this form. Being under pressure. It messes with his abilities and thinking. He has a hard time hacking if he's to distracted or under pressure, as it makes him mess up more with pressure hanging over his head. Being threatened. It has the same effect as it's distracting to him. Having his friends or anyone close to him be threaten has the same effect, and if needed he'll sacrifice himself for them. Being too long out of his forms. If he's in his human form for an extended period of time without changing it affects him. It ranges from his eyes changing colors to him doing things that could threaten his life. The longer he goes without changing the more sever it'll get, and the longer he has to stay in his other form before he'll be fine. It works the other way too if he is in his wolf form too long. Physical Strength. 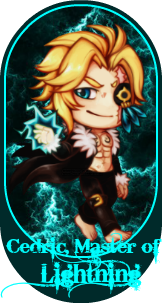 In his human form he is very weak, probably barely able to defend himself if someone was attacking him. His best idea would be to run. Paring this up with the fact that he hates to change, and rarely does, someone could easily overpower him and force him to do whatever they wanted. Socializing. Arik isn't much of the social type, at least in his human form. He is rather reserved and would just like to get where he's going without being interrupted. As a wolf he is much more social. Full Moons. On nights with full moons Arik feels a stronger pulling to wanting to change, and this calling gets stronger the longer he doesn't change. He can be effected by his eye color changing, mood changing, and finally changing if he can't control himself not to. He rarely uses any of his abilities, even if he was threatened or in trouble. He can lift objects with his mind, the larger ones take more effort, same with living things. Something the size of a pebble can be lifted almost without a thought while something like a car has to take a lot of effort to lift it even an inch off the ground. Things closer are also easier, and the furthest he can pick something up is 50 feet away. He can talk to people with his mind. If someone really wants to block him out he has a harder time than if they're more open minded at the moment. When they're feeling a lot of emotion it is also hard to talk to someone. He can only hear what someone wants to say to him. Another thing he can do is summon the dead. To do this he most of the time needs blood, unless something comes unintentionally. For something like a mouse he wouldn't normally need blood. Blood helps the process and makes it easier to summon bigger things, or sometimes even small things. He has no full control over these, only able to try and influence them to do something. Because they are dead he is unable to read their minds. Sometimes he will draw a circle around himself to protect himself in case he's summoning something dangerous, that of which needs blood to activate. He can only summon 3 small things at a time, 2 medium things at a time, and 1 big thing at a time. Something small would be considered mouse to cat size, medium from dog to a sheep, and big from a bear to a moose. He can't summon any water creatures, only land and air creatures. Personality: He keeps to himself most of the time, not really like talking to others until he gets used to them. He is smart and is very good at strategist, making him the strategist. He doesn't like to show his emotions or his feelings. Arik is rather bad at socializing, which leads to him not necessarily liking to talk with people. He also tends to be very defensive on some topics. He doesn't like to talk about his powers, nor does he like to use them. When he is in his wolf form he is more confident, saying things he probably wouldn't in his normal form. He talks a bit more and is more likely to start a conversation rather than sit in the corner and hope to be ignored. You could say he's more fun in this form. He is also more aggressive and will fight in this form if needed. If he doesn't change into his wolf form for a while, he will start acting weird in his normal form. 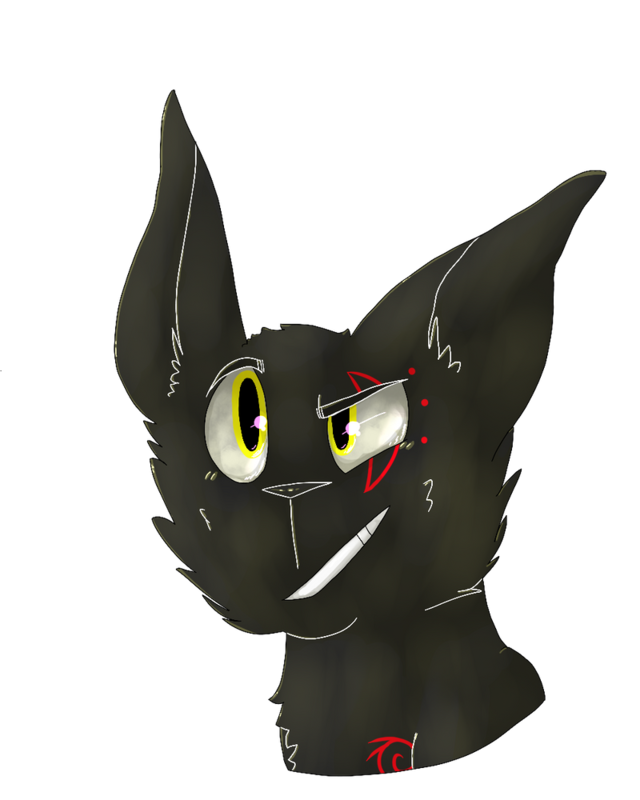 Mostly acting strangely, meaner, and sometimes his eyes will change to yellow. He doesn't wear clothes in this form unless someone gives him some, because who needs clothes when you have fur? Fears: Arik fears losing his friends. Even if they might end up annoying the crap out of him, he still doesn't want to lose them. His next fear would be waking up one day and not being smart anymore, making him useless. The were also fears something terrible happening to his friends.